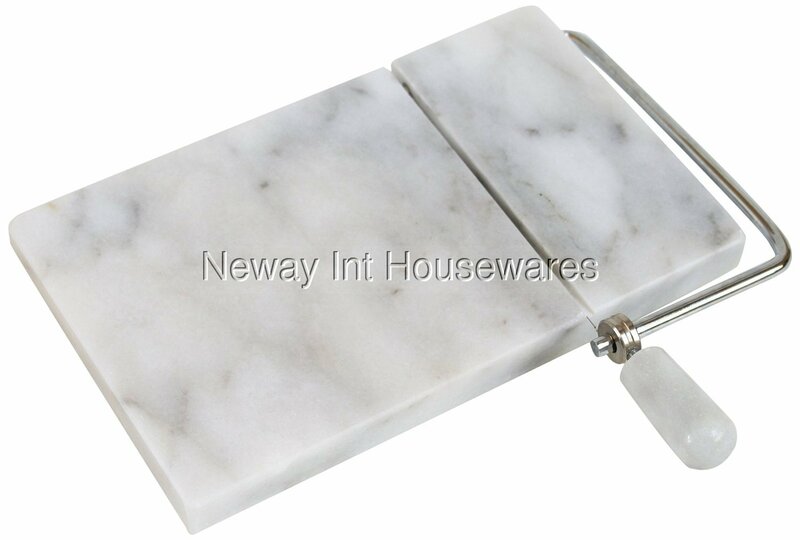 Made of natural grey-white marble. Marble is ideal for serving cheese. Uses a stainless steel wire to cut both hard and soft cheeses. Slicing is easy and more effective than a regular knife. Base measures 8 x 5 inch. 4 protective, non-slip rubber feet on the bottom. Extra 2 replacement wires included.